TOP floor living at Green Gables! 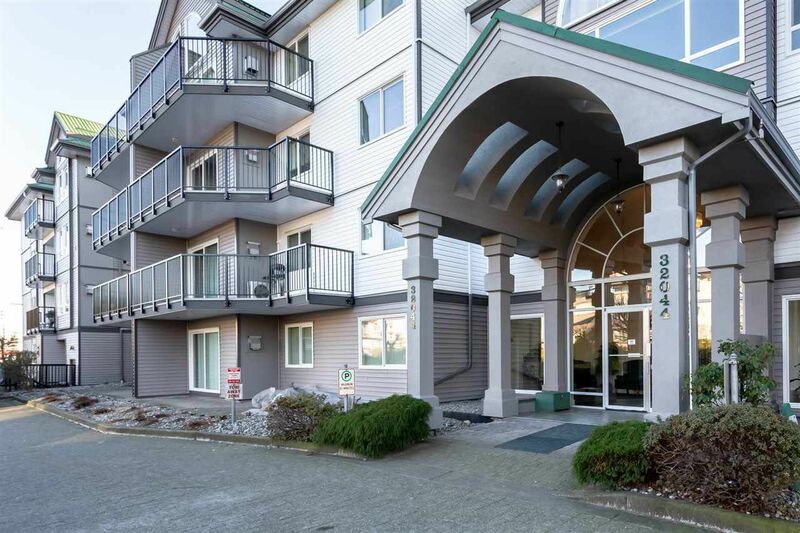 Enjoy this 1100 square foot two bedroom and two full bathroom top floor condo. You will appreciate the private balcony with desirable Southern exposure. Well laid out floor plan with separate dining area, vaulter ceiling in living room, over sized laundry/storage room and ample natural light. Green Gables is a well run strata and recently overhauled building including new building envelope, windows, balconies and siding. This is like a new building! Comes with underground parking, additional private storage locker and ample amenities including guest suite, clubhouse, and workshop. This is a 25+ age restricted strata allowing one cat and no rentals. PL LMS710 LT 55 LD 36 SEC 20 TWP 16. PART SW 1/4, TOGETHER WITH AN INTEREST IN THE COMMON PROPERTY IN PROPORTION TO THE UNIT ENTITLEMENT OF THE STRATA LOT AS SHOWN ON FORM 1 OR V, AS APPROPRIATE.